JUNE 11 – 2015, PARIS: In Brazil, they are producing solar-powered hearing aids, which are equal in price to disposable alternatives, but last up to three years. Non-sustainable alternatives, such as polluting zinc batteries, last approximately one week. Further North in the kingdom of Denmark, a young start-up saves parents up to $2,100 in the first year of their baby’s life by renting out clothing and exchanging it for larger sizes as the child grows. Published today, an annual sustainability study, SUSTAINIA100, names the top-100 eco-innovations of 2015 after reviewing more than 1500 projects and businesses from six continents. The 100 cases point to a paradigm shift in eco-innovation: more than half of this year’s selected innovations are not only competing on sustainability criteria, but also on affordability and convenience with for instance new reuse, recycling and take-back models. 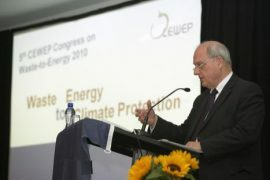 “It is the year for eco-consumers. In the new Sustainia100 study, it is remarkable to see how creative developments in particularly the circular economy are resulting in products and services highly competitive with non-sustainable alternatives. 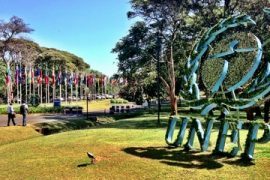 This empowers sustainability opportunities like never before,” says Laura Storm, CEO of think tank Sustainia behind the study. “This year’s Sustainia100 are fantastic, because they show how practical and affordable sustainable alternatives are for everyone. As a matter of fact, anyone can be a champion for a healthy lifestyle and more liveable communities, while demonstrating that none of us should wait for our governments to solve big challenges. Thank you Sustainia100 for showing us that the time for action is now!” says Arnold Schwarzenegger, former Governor of California and Honorary Chair of Sustainia. By identifying 100 readily available innovations for cities, corporations and consumers, the Sustainia100 partners wish to highlight the potential for bottom-up transformation ahead of the much-anticipated climate change negotiations, COP21, in Paris from November 30to December 11, 2015. 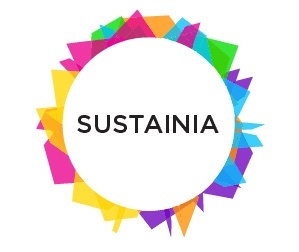 The partners behind Sustainia100 are UN Global Compact, Connect4 Climate, Regions20, WWF, DNV GL, Realdania, Storebrand and International Federation for Housing and Planning. The increasing competitiveness found among this year’s leading sustainability innovations is especially seen in circular economy innovation and new business models for underserved markets. “First of all, a growing private sector interest in circular business models is a vital explanation for the rise in competitive sustainability innovations. 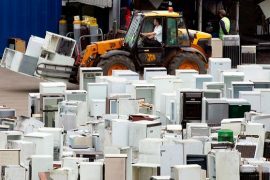 An increase in commodity prices over the last 15 years has erased the real price declines of the 20th century, giving businesses and consumers a good reason to break free of the linear model of resource use”, says Laura Storm, CEO of Sustainia. One in five of the identified innovations are circular economy models, where businesses are exploring economic incentives attached to circular consumption. These innovations include food waste turned into biofuel; reused air-con filters; and 100 percent recycled work wear. Additionally, the rising focus on underserved markets, in especially developing countries, is now beginning to create sustainable business models. With a large portion of the world’s population living on around or less than eight dollars per day, also referred to as ‘the base of the pyramid’, this represents an enormous global market. 23 of the 100 innovations are making profit or providing affordable solutions directly addressing the need for reliable energy, sanitation, waste management etc. at the base of the pyramid. These innovations include insurance to protect West African smallholders against extreme weather by way of satellite data; and a low-cost cooking ingot made of recycled metal to treat people with iron deficiency. The new Sustainia100 study is the fourth publication of leading sustainability innovation. The innovations are screened and selected by independent sustainability experts from 18 international research organizations including Yale University, World Resources Institute and the Acumen Fund. Over the past four years, Sustainia has identified more than 3200 sustainability solutions.